Sally is a lecturer in Fashion. She has worked in the fashion industry for over 20 years, running her own business. 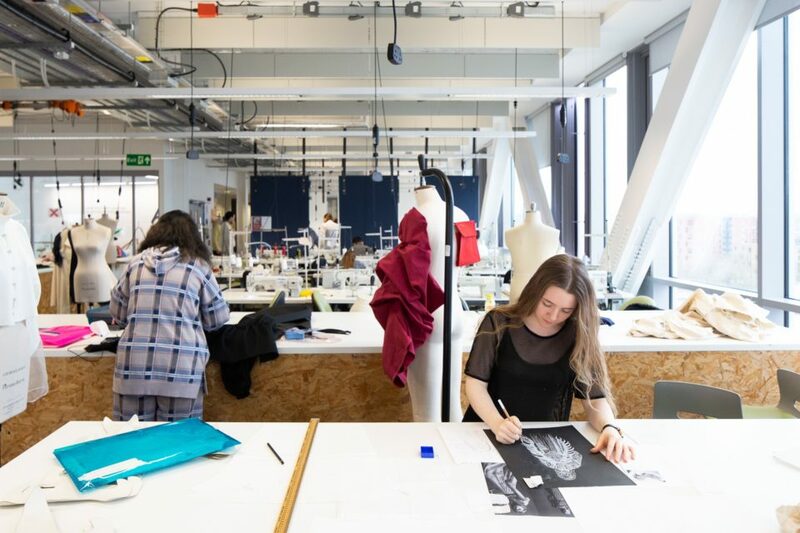 She now teaches across all areas of fashion design with a focus on business practice. Sally, tell us what you think of this building. The building is lovely. We’ve got amazing views up here, it’s so bright. I love the fact that we can see right out to the hills and see the weather coming in. The students, without a doubt, are happier. And for parents, this building is just a great selling point. At open days, people always say the buzz and the environment and the mood in here is just great. And how are you finding your space? It’s a big open plan space but within it there are areas for machines and areas for cutting tables so it tends to be used very flexibly by students. We’ve got amazing kit here and amazing space so we don’t ever turn students away. We always say, “If you can find a space, come in and work.” So it’s used by multiple groups, all at the same time. And it’s a dose of reality for students. 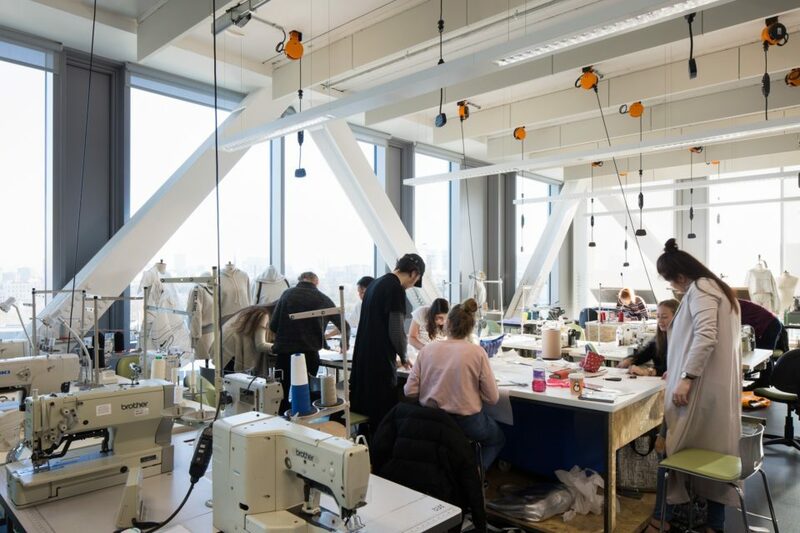 In fashion, you work in a busy studio environment with a lot of distractions and noise and people around – this space replicates that. Do you think the building has changed the education experience? With the open plan space, the different years are mixed up together. That kind of mixing students up can be really beneficial – it’s inspiring for first years to see what the third years are up to. And we get to see the other students and their work. There are brass bands playing and we can see a performance sometimes when we’re wandering through, so that really adds to the mix. And the students are seeing us around all the time now. We’re always on the shop floor, as it were, and students are constantly going, “Can I show you this?” So tutors are more accessible because of this space. One of the things that’s always commented on in our National Student Survey is access to staff. "As soon as I walk in here, it’s just like being at home."